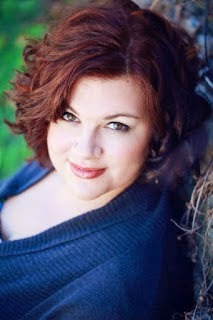 Welcome to C. J. Redwine, today's featured author. Her e-book, Defiance, hit the number 9 spot in the Teen section of the Barnes and Noble Nook store on August 16th. Defiance is the first book of C.J. 's post-apocalyptic fantasy trilogy for young adults. First, tell us what Defiance is about. In a post-apocalyptic fantasy world, a girl commits treason against the brutal leader of her city-state so she can escape into the Wasteland beyond to search for her missing father, but the truth she finds will incite a war two decades in the making. I'm traditionally published through Harper Collins' Balzer + Bray imprint. 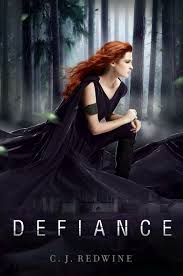 My first book (DEFIANCE) came out in August of 2012. The entire trilogy (DEFIANCE, DECEPTION, and DELIVERANCE) is now out which is surreal to me! I began writing novels with the intent to pursue publication when I was 30. My first novel will never see the light of day, and you should all thank me for that because HOLY OVER-WRITTEN CLICHE BATGIRL. I wrote another book, and that one landed me my fabulous agent, but it didn't sell. I wrote another book that didn't sell either. Finally, I decided to switch genres and dare to write this huge, compex idea I had, and two weeks after I turned DEFIANCE in to my agent, I sold the trilogy. My publisher gave me an amazing cover, which really is the number one marketing tool for a book, and then right before the final book in the trilogy came out, they put the e-book on sale and publicized that sale through Book Bub and other outlets. Harper Collins publicizes through online ads and to libraries and book stores. I use a newsletter and my presence on Facebook, Twitter, Instagram, and Tumblr to build my fan base, though I don't "market" my books through social media. I will announce when a book comes out or is up for pre-order, I sometimes run contests, and I keep my readers up to date on sneak peeks at what I'm working on now etc, but I find that those who use social media like it's a megaphone designed to sell a book inevitably drive followers away. I use social media to be accessible to readers and to build my tribe. I have three teenagers at home, and only one of them uses a e-reader, and even then, he seems to prefer paper backs. However, I have friends who will try books out on their e-reader and then pass them along to their kids, so I think it depends a lot on which book format the parent gives the child. I believe that the more a kid reads, the more she/he will comprehend. My target audience is teens and the young-at-heart who enjoy epic fantasy adventures. I find that while my paper back and hard back sales are solid, I sell much better in e-book across the board. I think many of my readers are super busy people, and the convenience of being able to instantly download a book and then download the sequel as soon as they finish reading really helps serve their reading needs. I love e-publishing! My book shelves are full of paper backs and hard backs, but my Nook is also full of e-books. I really love the convenience, the ability to browse while I'm in my pjs in bed, and the ability to pre-order while I'm thinking about it and have the book magically show up when it's released. My publisher automatically releases titles in both e and hard back, so there was no discussion, but I am REALLY happy with having my books out in e-book format. I think my readership is very tech-savvy, and so having books in a format they can easily access is perfect. I didn't expect to sell better in e than in traditional, but that has been a fun eye-opener for me. I write for a couple of hours in the afternoon and for another hour at night most days. (I work from home and have 5 kids ranging in age from 2-16 so my days are hectic and full!) A couple of days a week, I leave home and work from a local coffee shop so that I can get more done. Right now I'm working on revising THE SHADOW QUEEN, a dark epic fantasy inspired by the Snow White fairy tale, which comes out in early 2016. It definitely helps! It reaches more people in a short amount of time, especially when we have many brick and mortar stores going out of business, leaving communities without a local book store. I think it helps because again, it allows access to books to readers who may not have a local book store, and any time a child or young adult is reading, it's a win. Learn more about C.J. and her books by visiting her blog, and by following her on Facebook, Pinterest, Tumblr or Twitter. See the latest Kids' EBook Bestseller List for more top ten e-format authors and their books. It's updated every Saturday morning. And check back next week when my featured author will be C. L. Stone.